By now, you’ve probably heard that teen pop singer Justin Bieber has been arrested in Miami, Fla. The 19-year-old was caught drag racing a Lamborghini at 4 a.m. and admitted to being under the influence of alcohol, marijuana and prescription medication, according to various media reports. Justin was charged with DUI, driving on a suspended license and resisting arrest. At 19, Bieber is not above the legal drinking age of 21 in California or Florida. If you are less than 21 years old and you drive under the influence of alcohol in California, there are several ways California law can penalize you. Under age drinking and driving with a BAC measuring between .05% and .07% is an infraction. Refuse to take the test. First offense – one year suspension. Second offense within 10 years – two year revocation. Subsequent offense within 10 years – three year revocation. A one-year delay of your driving privilege will result if you have yet to obtain your driver’s license. Pursuant to Vehicle Code 23140, underage drinking and driving (under 21 DUI) with a BAC measuring between .05% and .07% is an infraction. You can be fined up to $300 depending on whether you have any prior under 21 DUI convictions. You will also face losing your license for a minimum of one year as a result of violating California’s underage drinking and driving zero tolerance law. Vehicle Code 23152 is California’s general DUI law. There are two ways to be exposed to DUI prosecution. If you operate a motor vehicle with any measurable amount of alcohol in your system, you can be charged with DUI (VC 23152(a).) In reality, most DUI convictions result from having a BAC level of .08% or greater (VC 23152(b).) Typically, a DUI is charged as a misdemeanor. Generally, a DUI is charged as a misdemeanor, but if someone was injured, you could face a felony charge. However, felony DUI may be charged if anyone other than the driver was injured in a DUI-related accident, or if the driver has more than three prior DUI convictions in a 10-year period. An automatic minimum 6-month driver’s license suspension by the DMV. If you have prior DUI convictions within a 10-year history, you face mandatory minimum jail sentencing if you are at least 18 years old. Additionally, prior DUI convictions also increase the length of an alcohol education program to either 18 or 30 months. If you have never had a license. A DUI conviction will result in two points added to your driving record by the California DMV. If you get 4 points or more in a 12-month period, your license will be automatically suspended for six months. Your automobile insurance company will almost assuredly raise your rates if you get too many DMV Negligent Operator points. In fact, your insurance may be cancelled altogether. Underage drivers who violate California DUI laws may also be required to report a criminal conviction on an employment and/or an entrance application to a college or university. This could make it difficult for you to get a job or be accepted into the college of your choice. You should not face your DUI charge alone, let Wallin & Klarich help you today. If you or someone you know is less than 21 years old and has been arrested for underage DUI, you should speak to one of our skilled criminal defense attorneys at Wallin & Klarich as soon as possible. 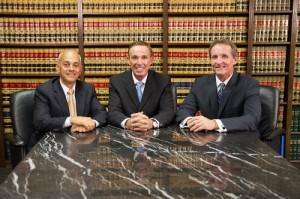 Our attorneys at Wallin & Klarich have over 30 years of experience defending our young clients facing DUI-related charges. Hiring an attorney from Wallin & Klarich is your best chance to avoid the serious consequences of violating underage DUI laws such as potential jail time, probation, heavy fines and loss of your driver’s license. With offices in Los Angeles, Sherman Oaks, Torrance, Tustin, San Diego, Riverside, San Bernardino, Ventura, West Covina and Victorville, our criminal defense attorneys at Wallin & Klarich are available 24 hours a day, 7 days a week to provide you with the very best legal representation. We will do everything we can to help you with your case.